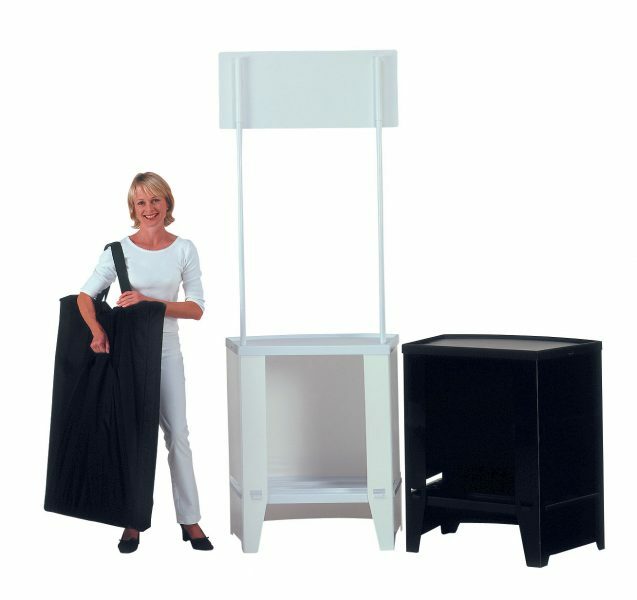 The COUNTER Promo is made of stable plastic and consists of a completely foldable body, shelf and countertop, as well as a screen with poles, packed in a nylon bag. The Promotor Democenter weighs only 12 kg. The COUNTER Promo impresses with its excellent price / performance ratio and is your ideal partner at point of sale.